New music concerts aren’t what they used to be — in a good way. Today’s composers are writing in a myriad of musical styles, and the continuously evolving technical demands their compositions place on players are no longer insurmountable. Undistracted by technical flaws during performances, listeners are free to engage with the music itself. 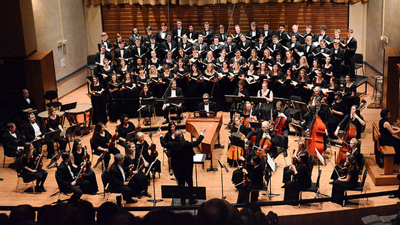 One institution responsible for the advancement of the new music cause is the Oberlin Conservatory of Music. 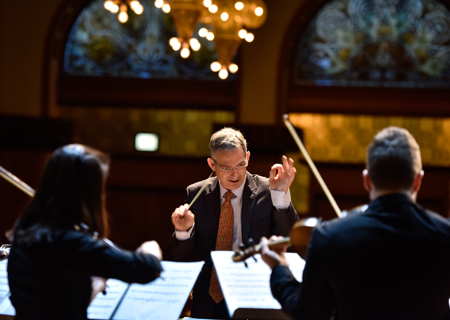 The school’s dedication to musical innovation was fully realized on Friday, January 29 in Roosevelt University’s Ganz Hall in Chicago, when Timothy Weiss led the celebrated Oberlin Contemporary Music Ensemble in two performances of a program of captivating works by six of today’s leading composers. I attended the 7:00 pm concert. 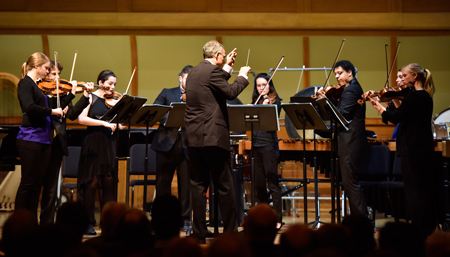 Presented as part of the Conservatory’s 150th anniversary tour to Chicago, Weiss and his players opened the evening with Andrew Norman’s Gran Turismo for eight virtuoso violinists. Written in 2007, the piece is named after a race car driving video game, which accounts for the hyper-frantic music that ensued. Arranged in a semi-circle around Weiss, the performers were in full command of the fast-moving lines. “Pedal to the Metal, with excessive energy” is the tempo marking at the beginning, and aside from two slower, lyrical sections which intervene, the rhythmic energy flows unabated to the end, goaded on by Norman’s instructions to “floor it” and saw away “as fast as possible.” Norman is gifted at writing structured music of relentless activity, and the clear acoustics of Ganz Hall made it easy to hear the whoosh of the race cars zooming by at a Grand Prix. 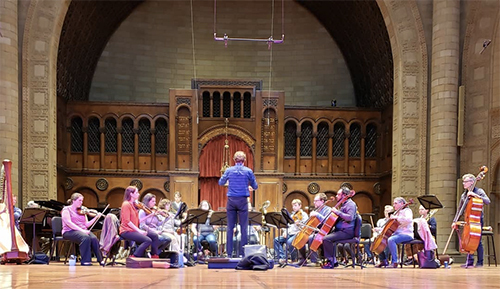 The Oberlin violinists gave Gran Turismo a splendid outing, exciting from start to finish. 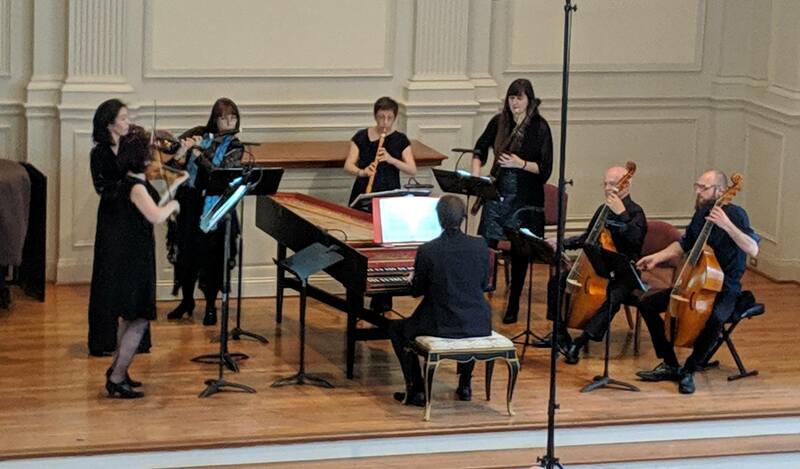 Next, Weiss changed gears completely, leading a beguiling performance of Stephen Hartke’s Meanwhile: Incidental Music to Imaginary Puppet Plays. Written in 2007, the single-movement work is a feast of musical colors that draws on the composer’s fascination with Asian court and theater music. Hartke creates an exotic sound palette for each of the work’s six sections through the use of a variety of percussion instruments: eighteen distinct wood sounds, four cowbells, two small cymbals, and a set of bongos. However it is his inventive use of prepared piano and a set of flexatones (including the Flexatone Gamelan: three flexatones mounted to a board and played with mallets) that gives the work its overarching magical quality. 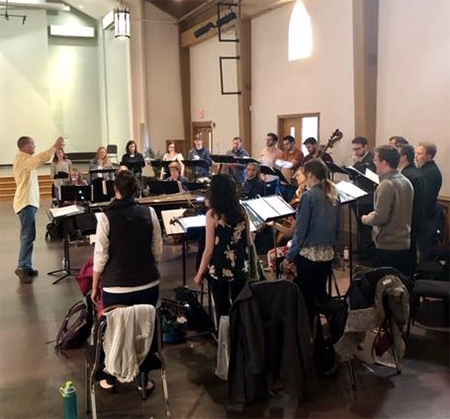 Hartke, who serves as chair of Oberlin’s composition department, gives each player in the work an opportunity to shine. 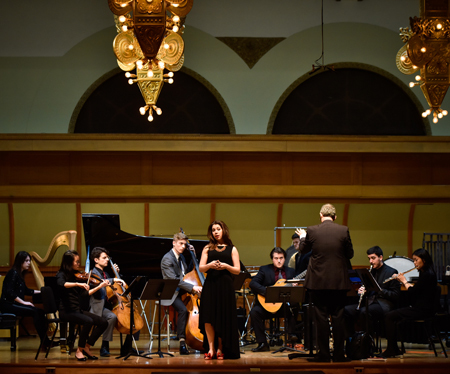 Flutist Aram Mun, clarinetist Alex Dergal, violist Daniel Orsen, cellist Aaron Wolff, pianist Chelsea DeSouza, and percussionist Benjamin Rempel played with melodic flair, incisive rhythm, and precise intonation. Part of the fun of listening to concerts performed by young musicians is the chance to hear potential stars of the future. During the North American premiere of Jesse Jones’s engaging One Bright Morning, soprano Olivia Boen firmly established herself as someone to watch. Based on a nonsense poem masquerading as a folk text, the delightful work is full of complex polyrhythms and vocal pyrotechnics. Singing with an attractive, centered tone and crisp diction, Boen embodied the silliness of the text. “One bright morning in the middle of the night, two dead boys got up to fight,” she sang with mock seriousness. 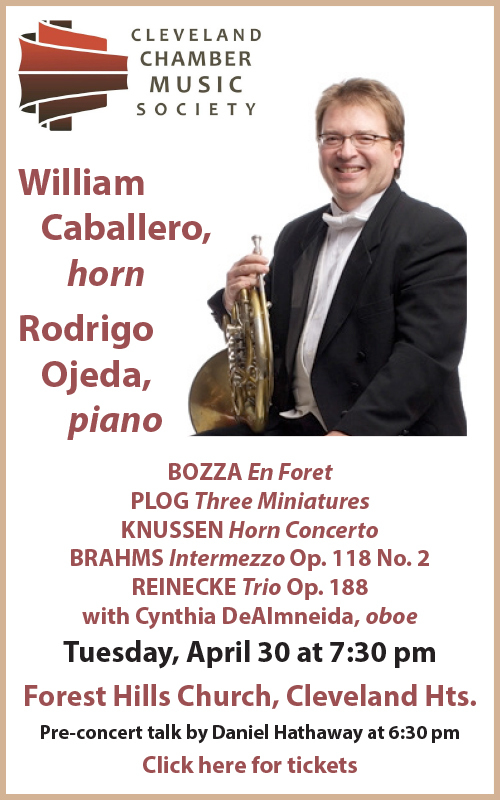 Boen and the ensemble — made up of flute, piccolo, clarinet, bass clarinet, percussion, piano, guitar, violin, cello, and bass — were in complete command of the work. The oldest piece on the program was Augusta Read Thomas’s Passion Prayers. Dating from 1999, Thomas’s “micro-concerto,” scored for flute, clarinet, violin, piano, harp, percussion, and solo cello, is a mystical work in three sections, played without pause. 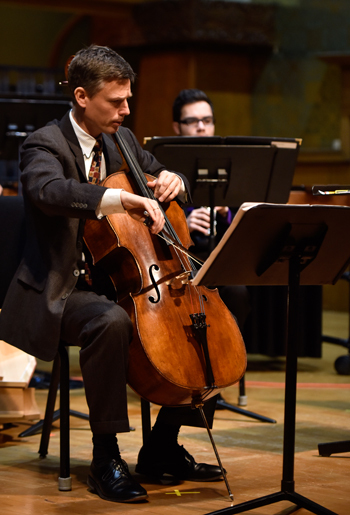 The featured soloist, Oberlin cello professor Darrett Adkins, played passionately with a rich, focused sound and brought an array of subtle color shadings to the pensive musical lines. Adkins, charged with drawing his colleagues into this meditative triptych, did so with poise. Thomas, who was present at the performance, acknowledged the cellist’s artistry with a warm embrace. Following a brief pause for furniture moving, Weiss continued the evening with French composer Marc-André Dalbavie’s semi-impressionistic Melodia from 2009. Written for an ensemble of twelve instruments, the piece is largely a prelude to a melody reminiscent of Gregorian chant. The brief work paints a novel musical narrative with a lot of downward, sliding pitches. Weiss drew a poised, expressive performance from his players. 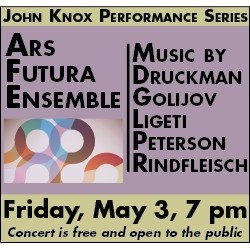 The finale was British composer Julian Anderson’s Alhambra Fantasy (2000), scored for an ensemble of sixteen players. The composer describes the piece, written in two contrasting sections, as “a celebration of the art and architecture of the Alhambra Palace in Granada, Spain.” Opening with bombastic, hammering percussive sounds, the work gives way to a quiet, more lyrical section evoking a walk through the palace gardens. The final chord faded away into the sunset, bringing this inspired concert to its conclusion. The large audience rewarded the performers with a long ovation as Timothy Weiss brought all of the performers back onstage to share the moment. Photos by Yevhen Gulenko courtesy of the Oberlin Conservatory of Music. Mike Telin serves as Executive Editor at ClevelandClassical.com. 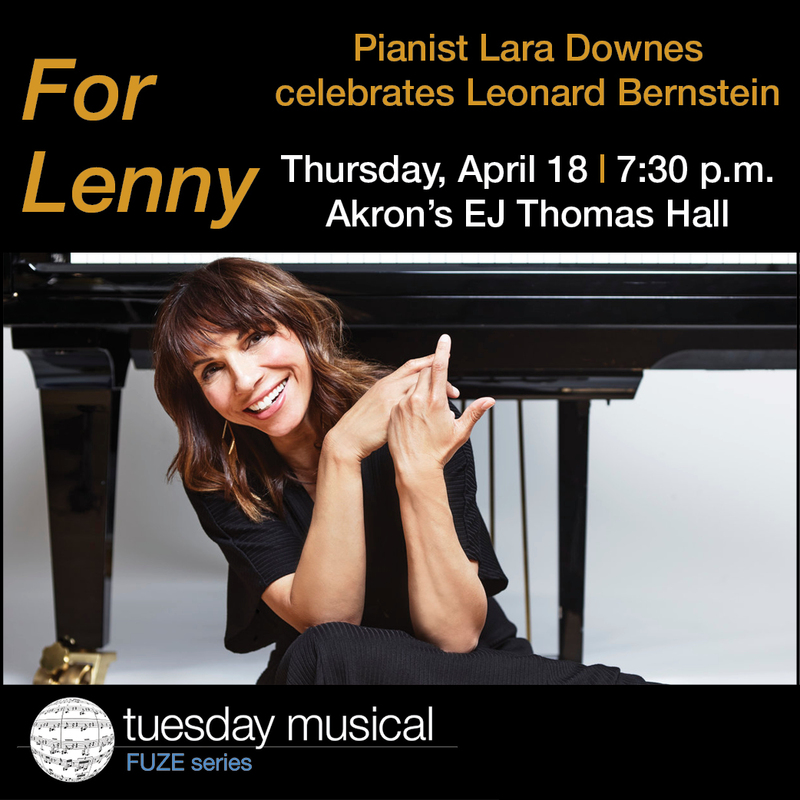 After receiving his musical training in bassoon at Oberlin Conservatory, he went on to perform with such Northeast Ohio orchestras as the Canton Symphony, Akron Symphony, Cleveland Chamber Symphony, and Trinity Chamber Orchestra. 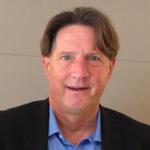 He served as Executive Director of Music & Performing Arts at Trinity Cathedral for fifteen years. Currently he team-teaches Introduction to Music Criticism at Oberlin College and Conservatory and has team-taught public interest research at Baldwin Wallace University. 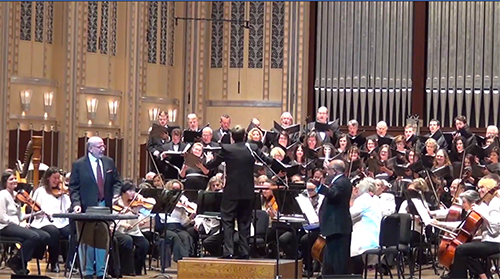 Published on ClevelandClassical.com February 8, 2016.